Rainy Season has started and there is heavy rains in Chennai and South India. Cold is one of the common effects of the rainy season, affecting elderly and the children. 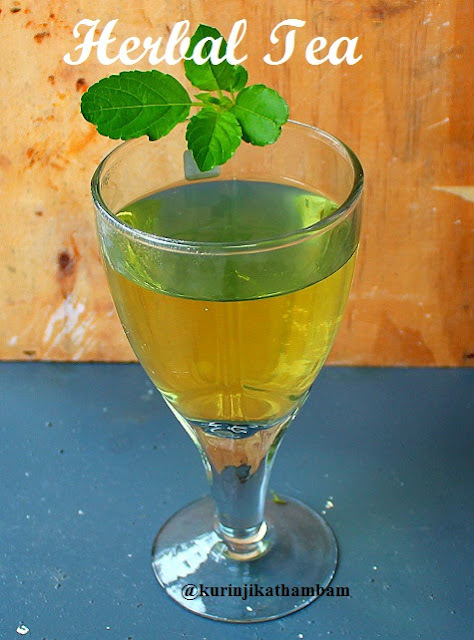 Herbal Tea is an easy and simple remedy for Cold. We can take at-least two-three times a day and it is very effective for cold. 1. 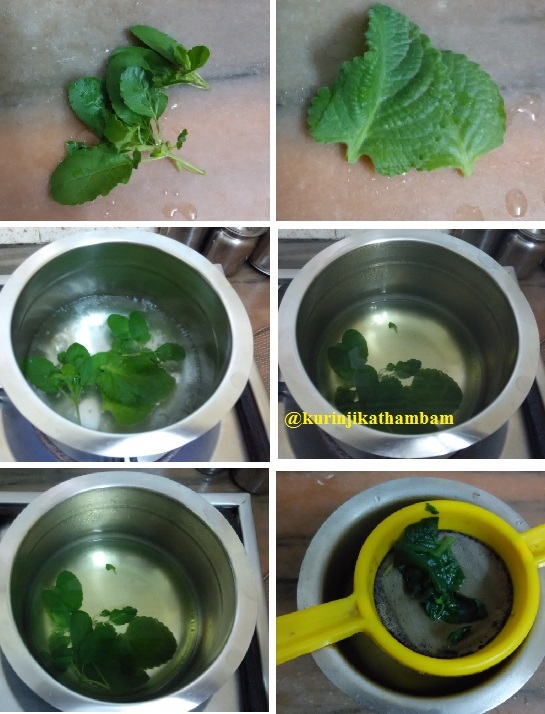 Wash the leaves gently with water for 2 times. 2. Heat the water in a sauce pan and bring it into boil. Add the leaves after the water starts boiling. Close the lid of the pan and boil for 5 mins. 3. Then switch of the flame and leave it for 2 more mins. You should not open the lid of the pan. 4. After 2 mins, strain the water using the tea strainer. 5. Mix sugar or palm sugar with the tea and serve hot (if you used).